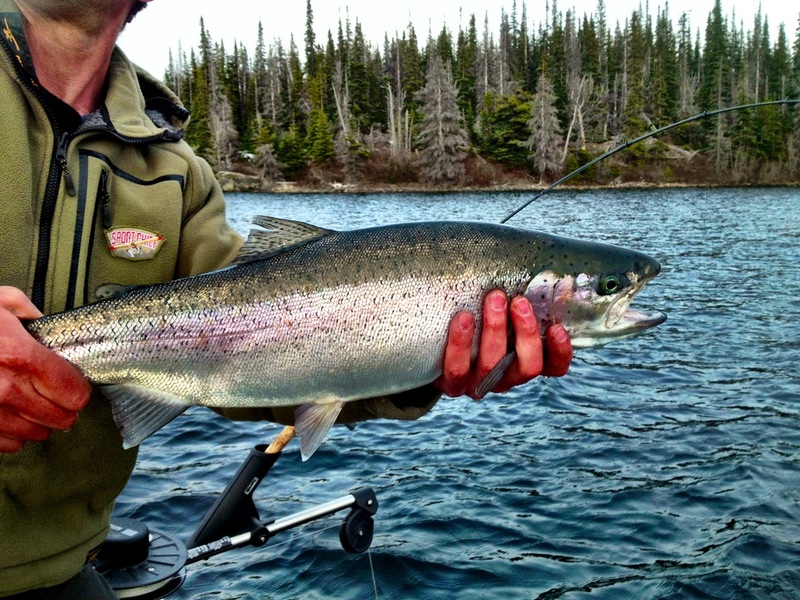 Two fly in cabins on remote lakes as well as central coast fly in salmon fishing trips. 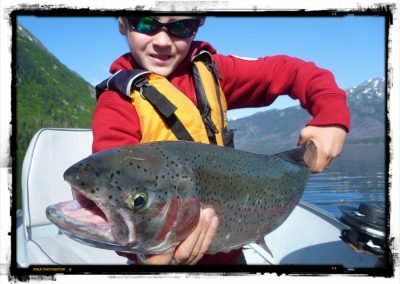 Fly in to the remote central coast to experience fishing at it’s best. 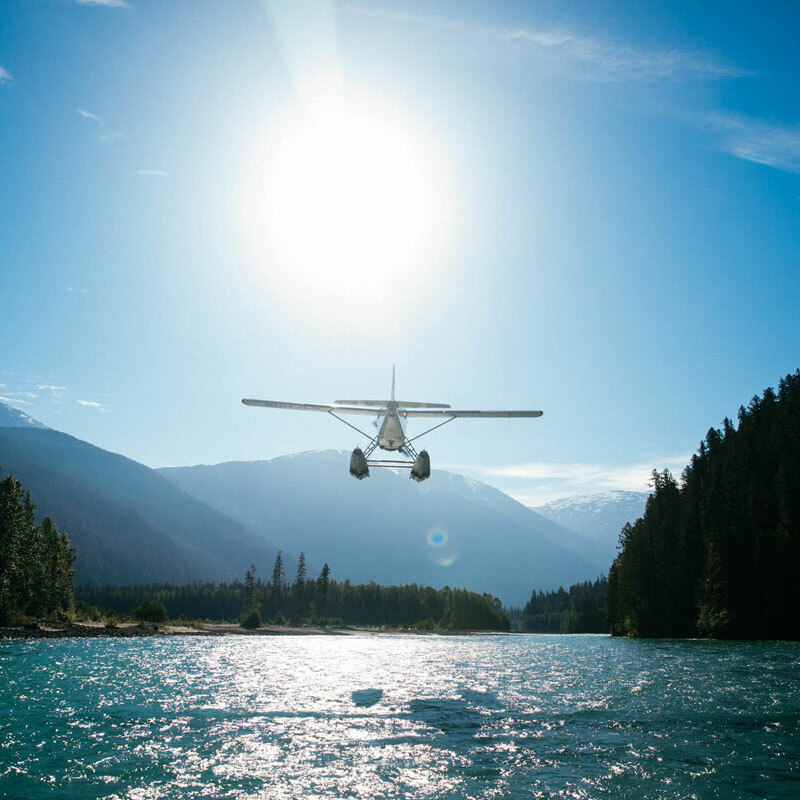 With three planes to service you, we offer safe, cost effective air service for commercial or recreation. 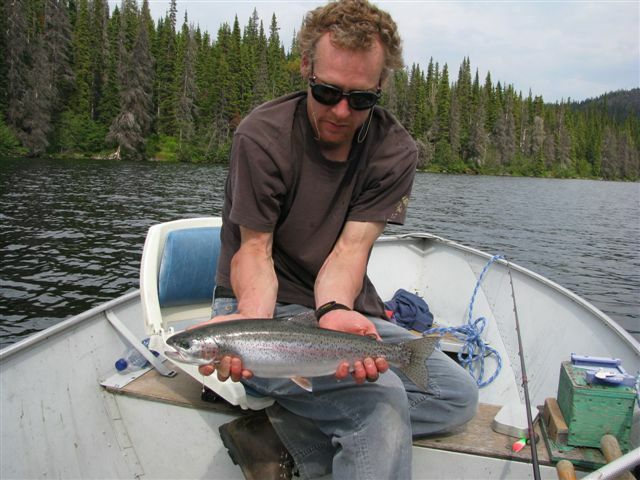 Air services in northern British Columbia since 1976. We offer two remote outpost cabin trips fishing for trophy trout and coastal fishing trips for salmon. 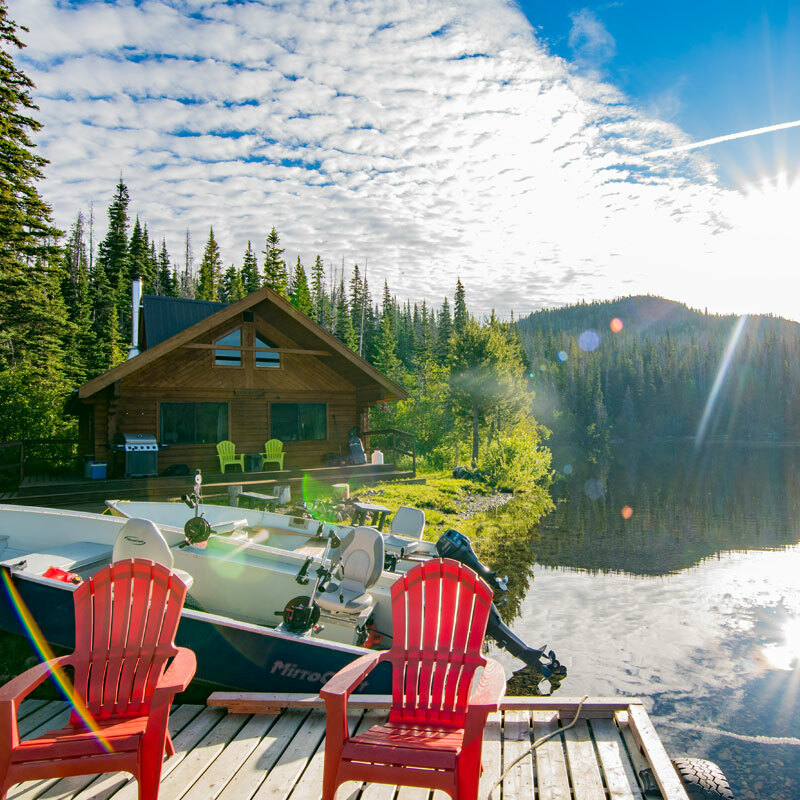 Fly in to remote and secluded Tesla Lake Lodge…located in a nature conservancy within Tweedsmuir Park. 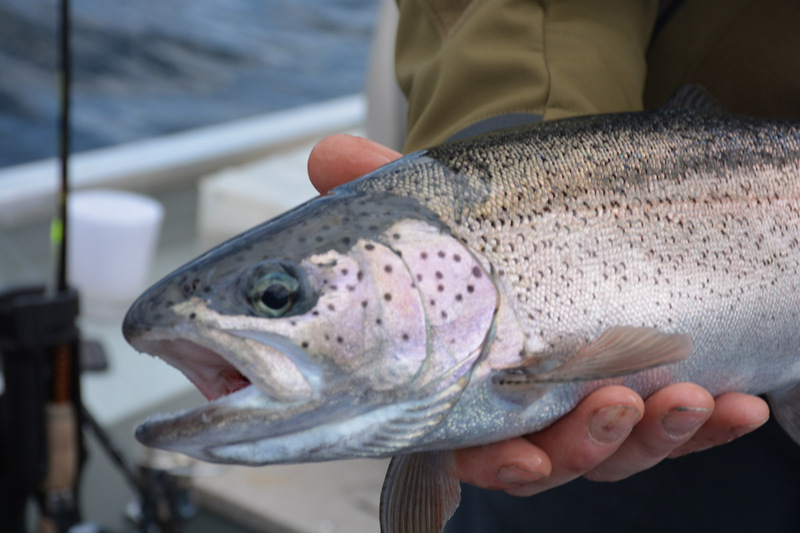 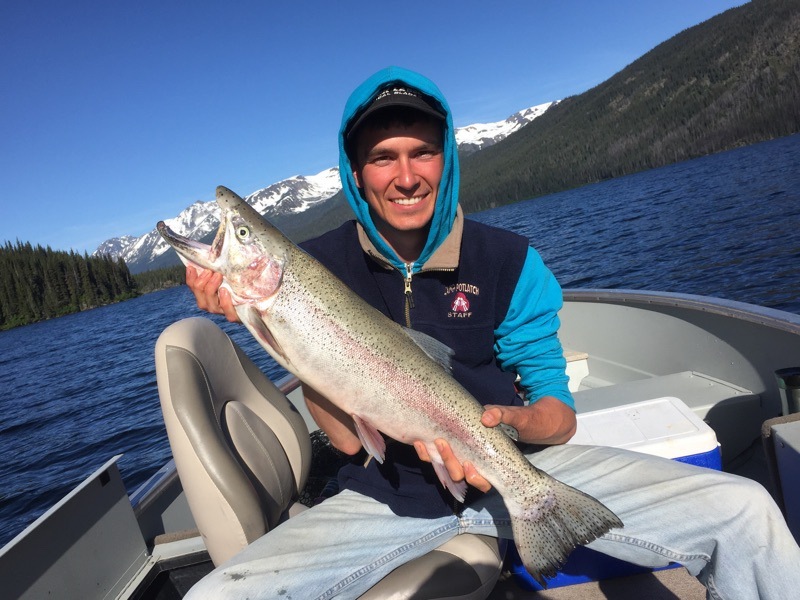 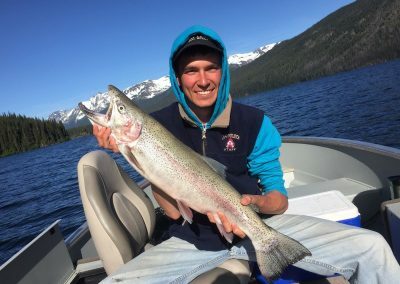 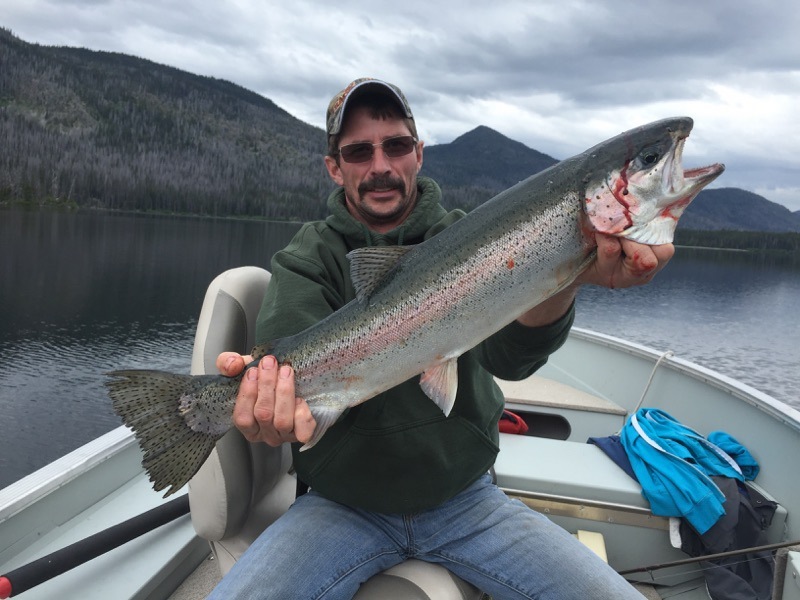 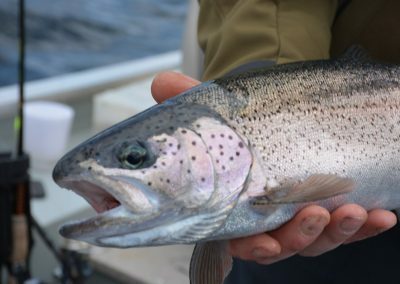 Tesla is the only fishing lodge on the lake for a completely private wilderness getaway and trophy Rainbow Trout Fishing! 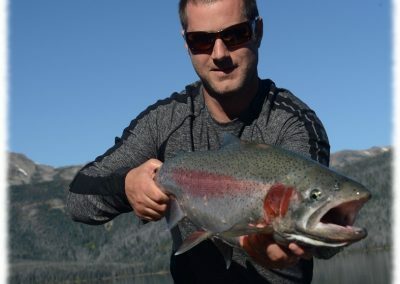 Coles Lake is accessible ONLY by air – this is the perfect place to rejuvenate and a Fly fishing paradise! 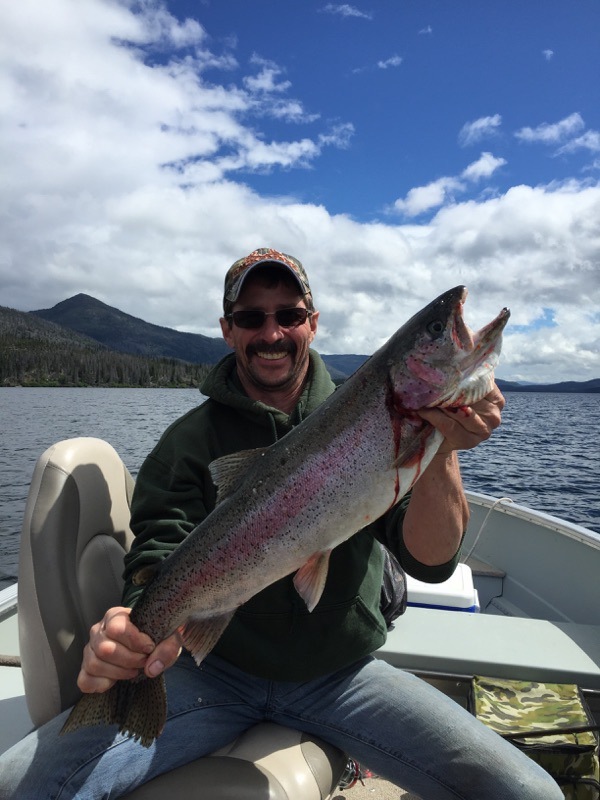 We have the only fishing cabin on the lake for a private wilderness fishing experience for you and your group. 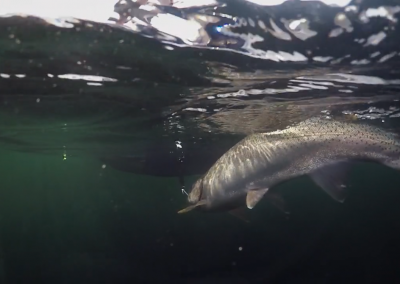 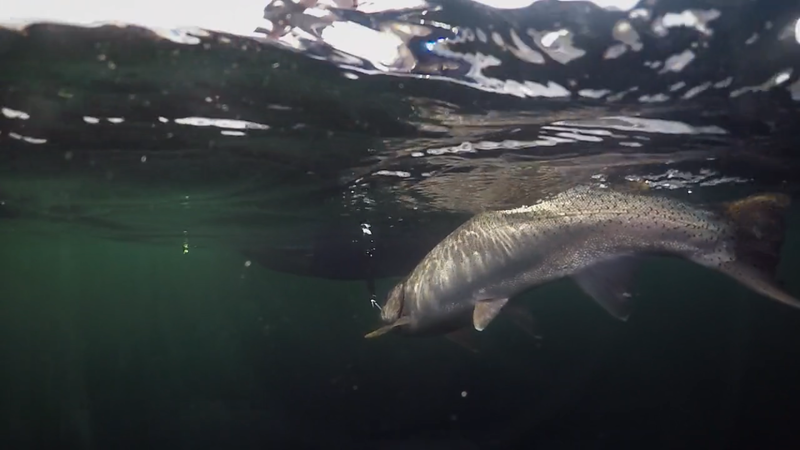 Fly in salmon fishing experience on the Central British Columbian Coast. 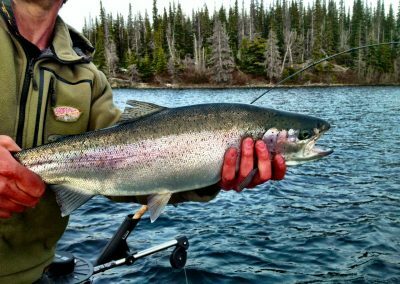 We fly you to a remote river and provide lunch and snacks for your day of salmon fishing. View our photo gallery or video gallery. 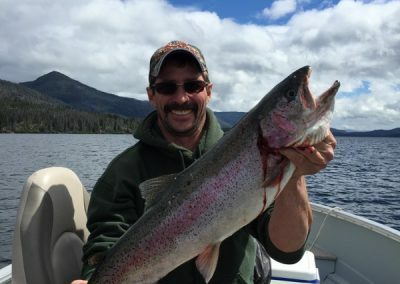 Based in Burns Lake…we fly, fish and hunt! 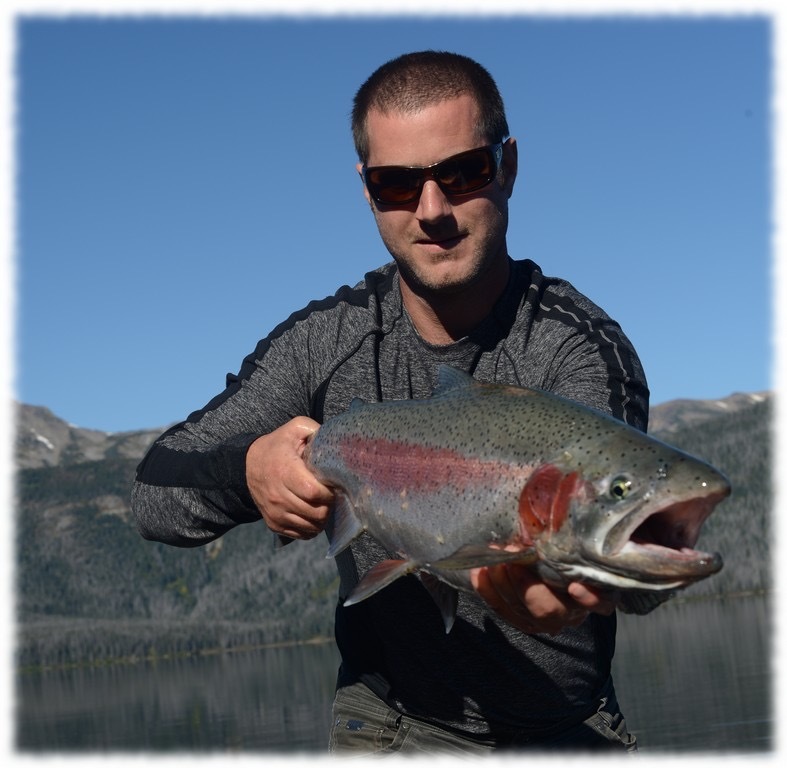 Four aircraft for flightseeing tours, aerial photography, industry transportation, and wildlife survey services. 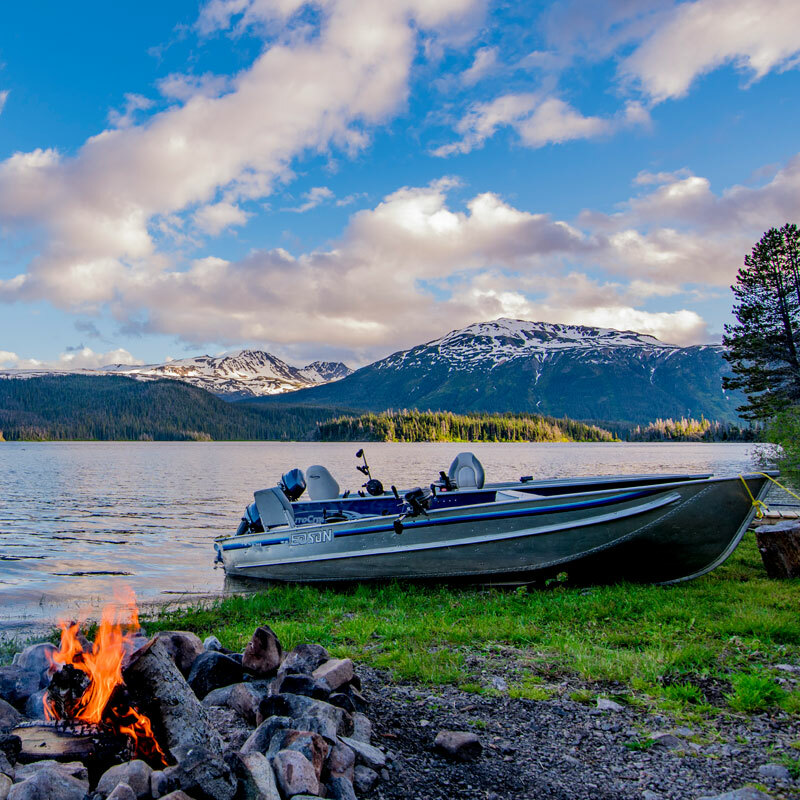 Year round service as our aircraft are equipped with wheels, skis or floats.